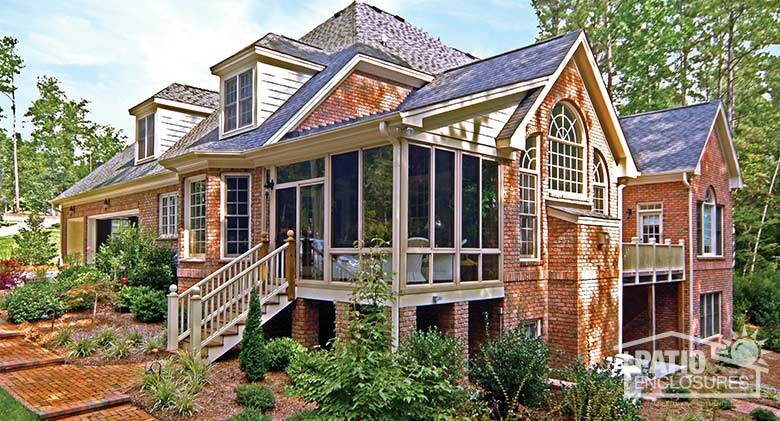 ​Don’t just renovate your home. 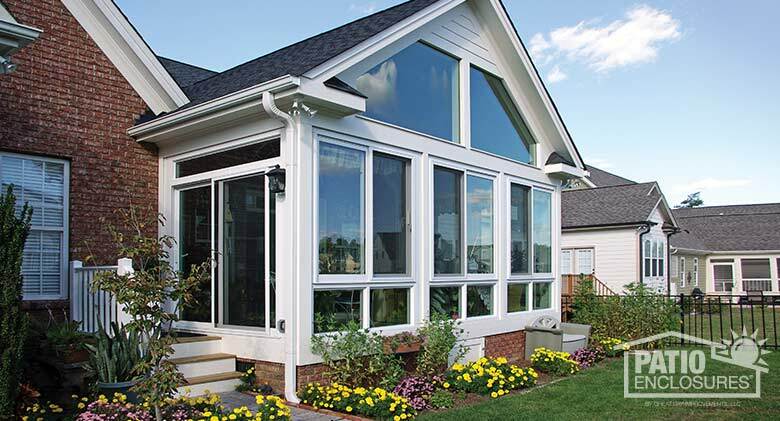 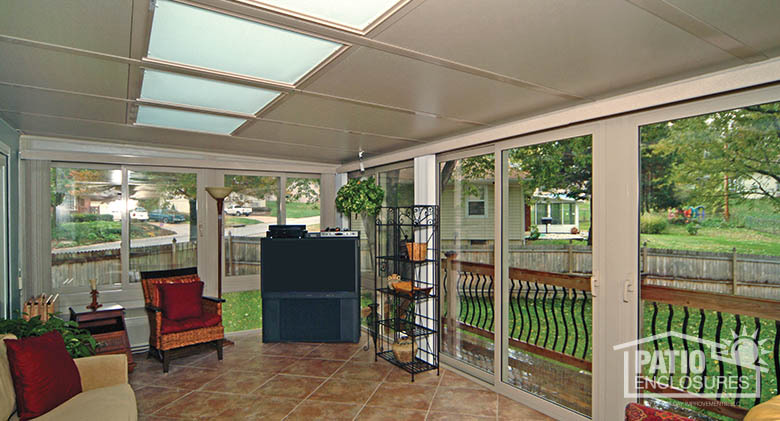 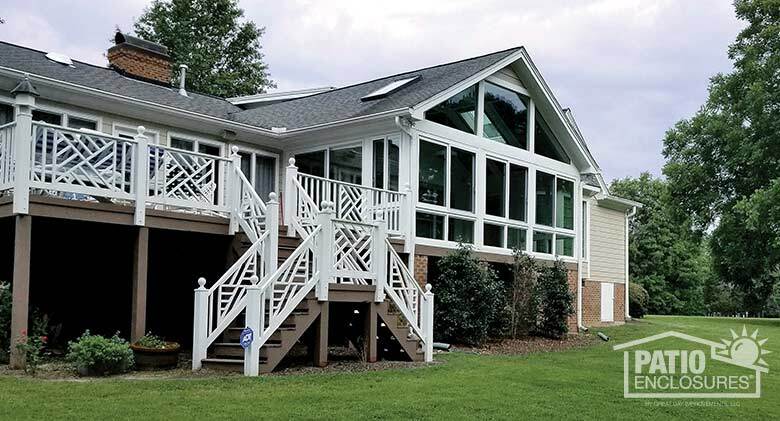 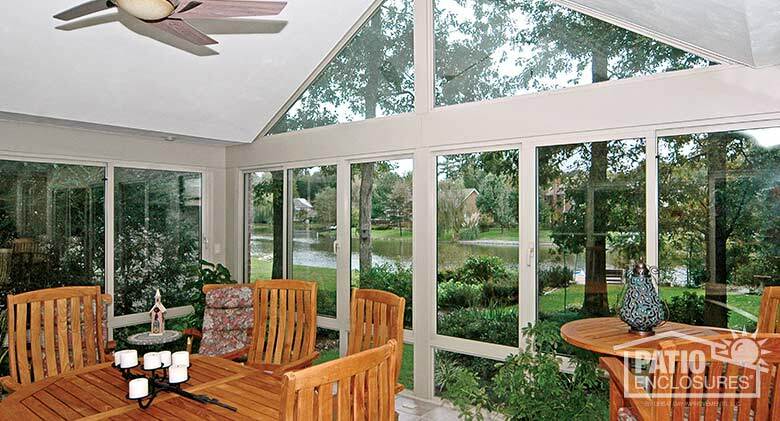 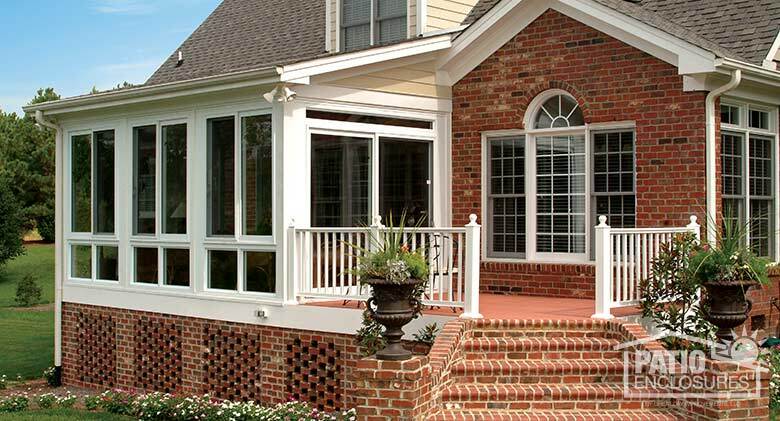 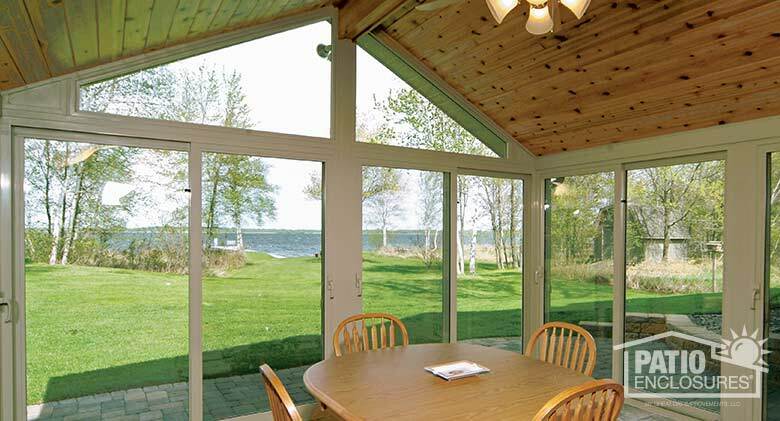 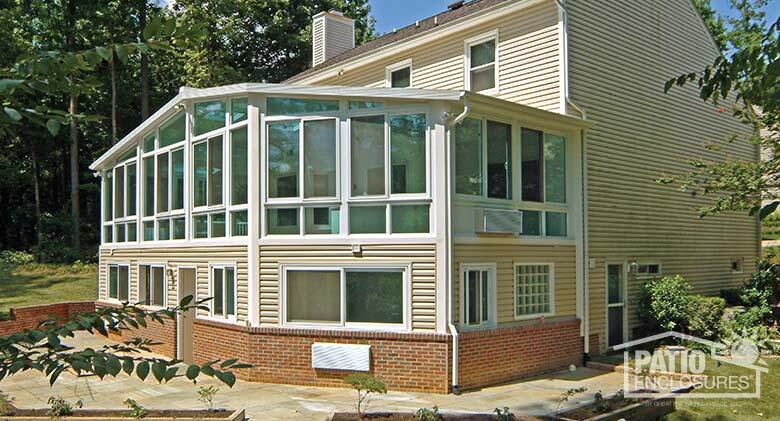 Rejuvenate your life with a Patio Enclosures All Season Sunroom. 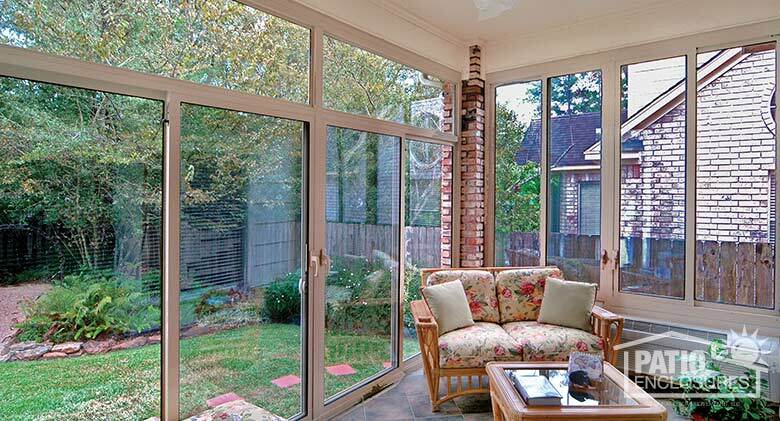 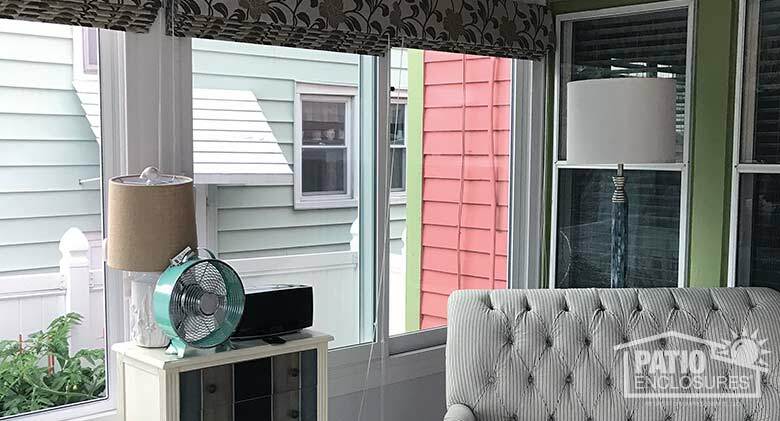 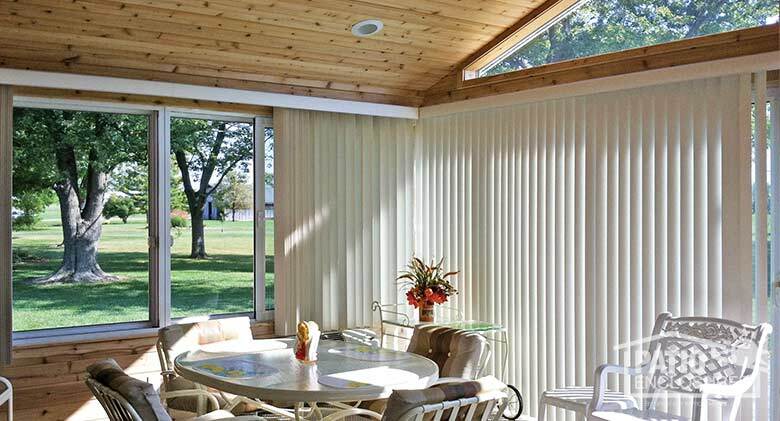 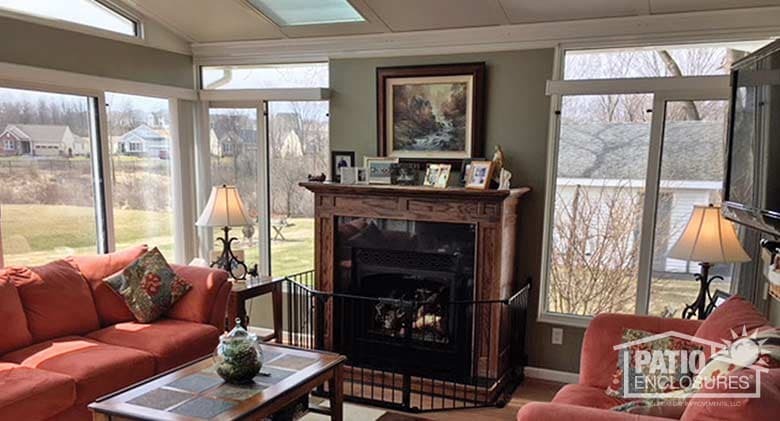 Enjoy your sunroom every day of the year no matter the weather or location. 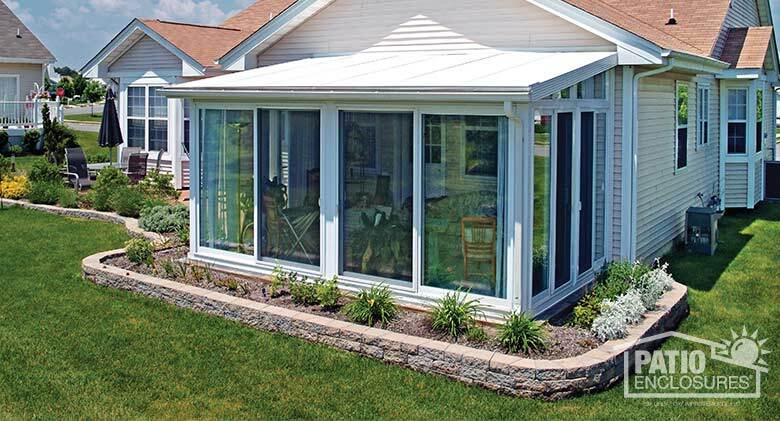 Our All Season Room is engineered with thermal breaks which allow you to heat and cool your room cost effectively all year round. 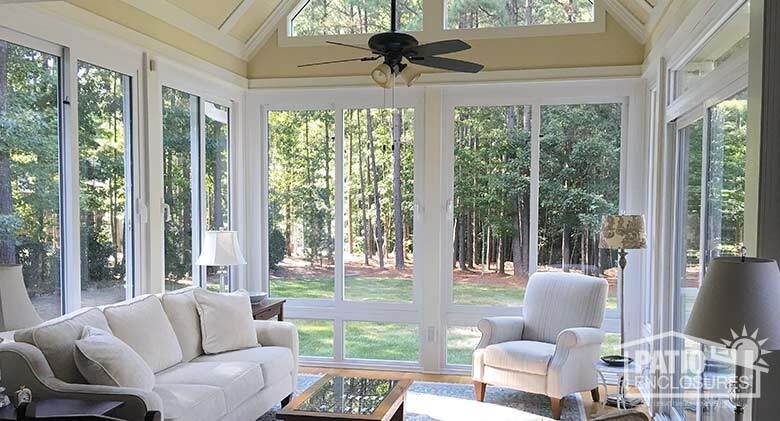 All Season Sunroom White frame with gable roof. 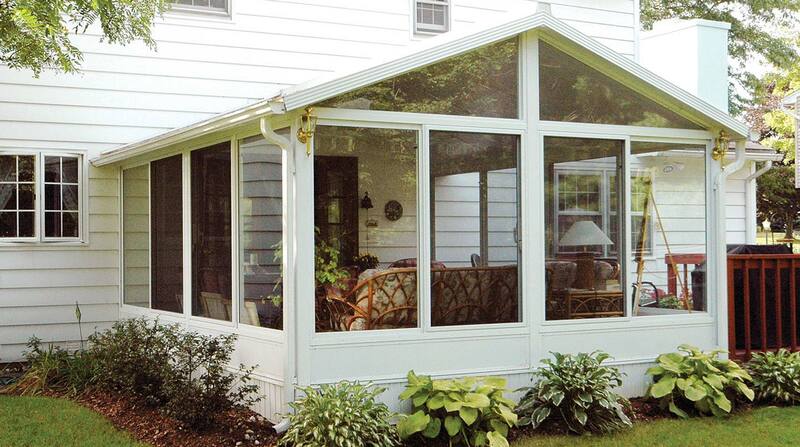 All Season Sunroom White frame with gable roof and glass panels. 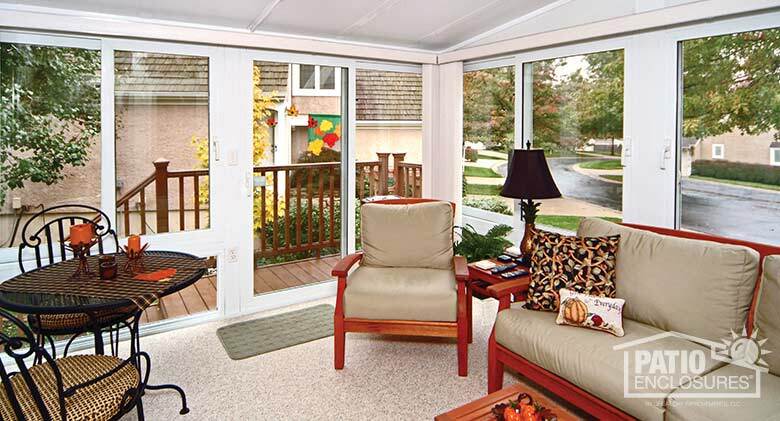 All Season Sunroom White vinyl with single-slope roof. 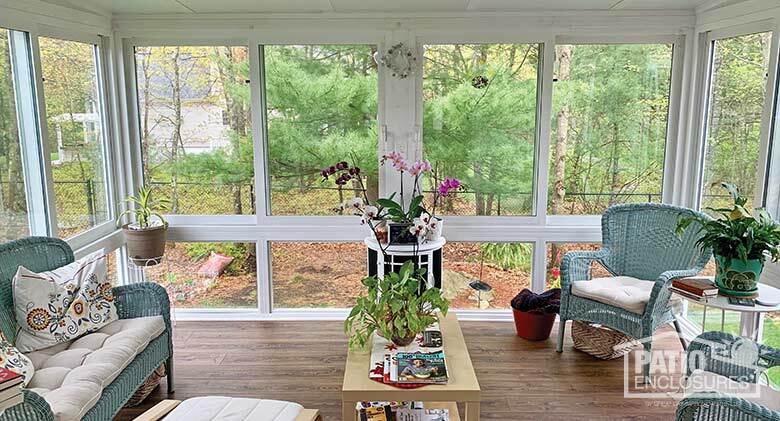 All Season Sunroom White vinyl with gable roof. 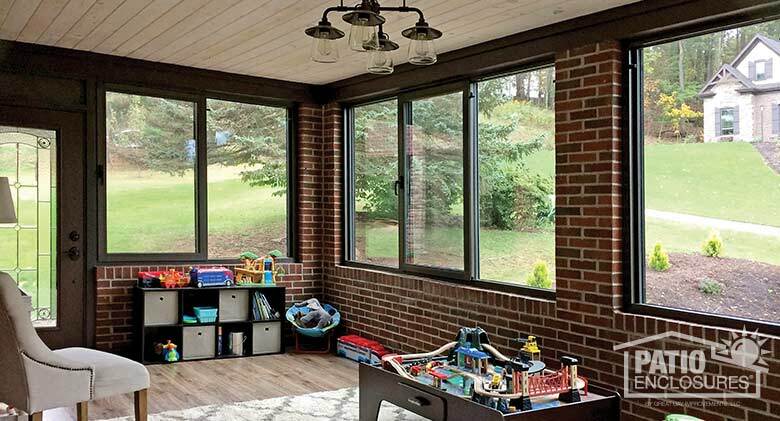 All Season Sunroom Sandstone insulated with gable roof. 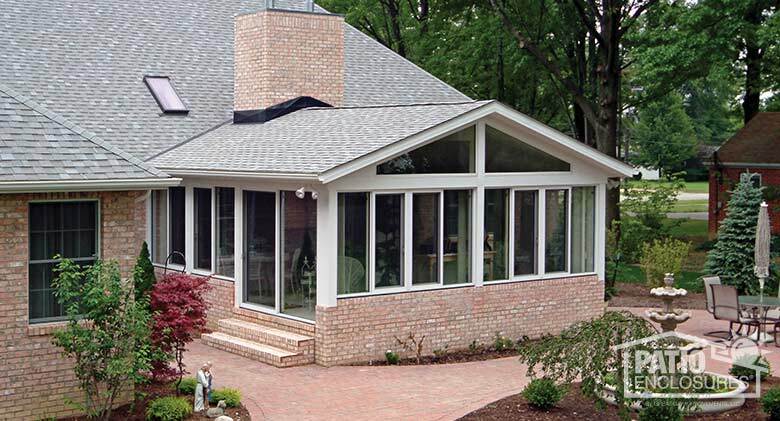 All Season Sunroom Sandstone Vinyl with single-slope roof. 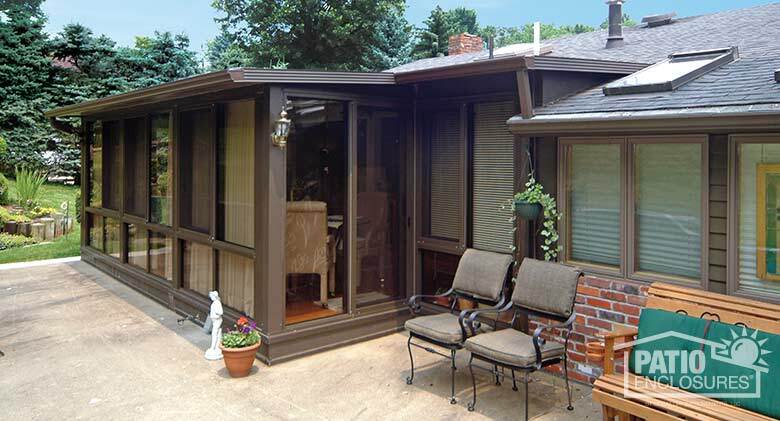 All Season Sunroom Bronze aluminum frame with single-slope roof. 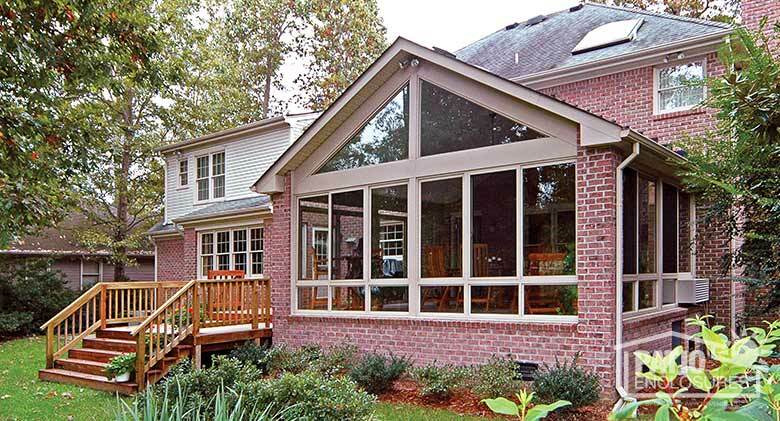 All Season Sunroom Sandstone aluminum frame with existing roof. 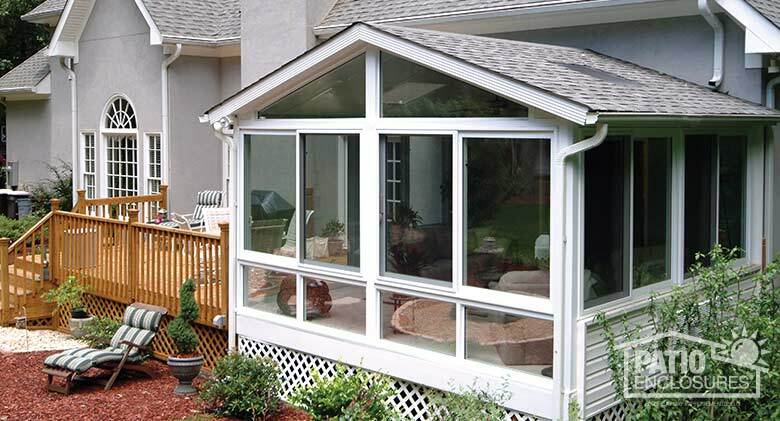 All Season Sunroom Sandstone aluminum frame with gable roof. 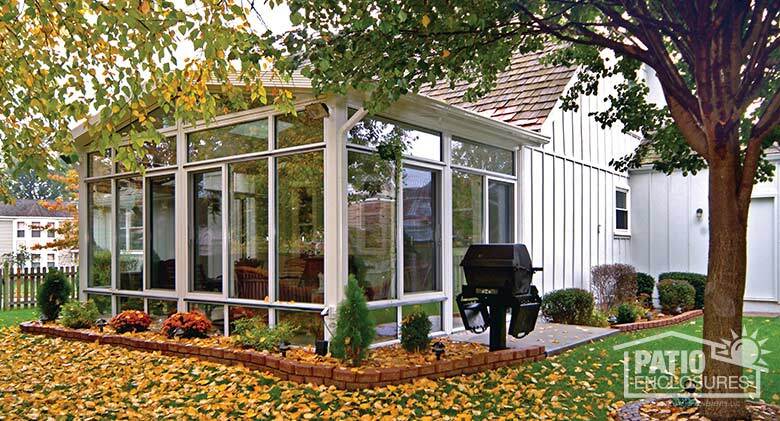 All Season Sunroom White aluminum frame with gable roof. 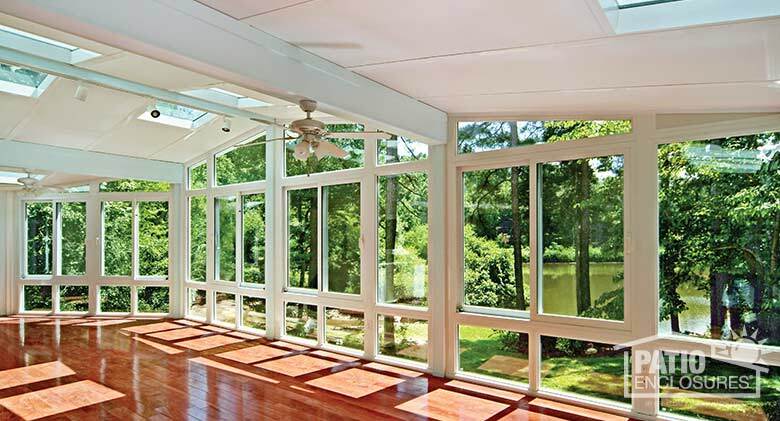 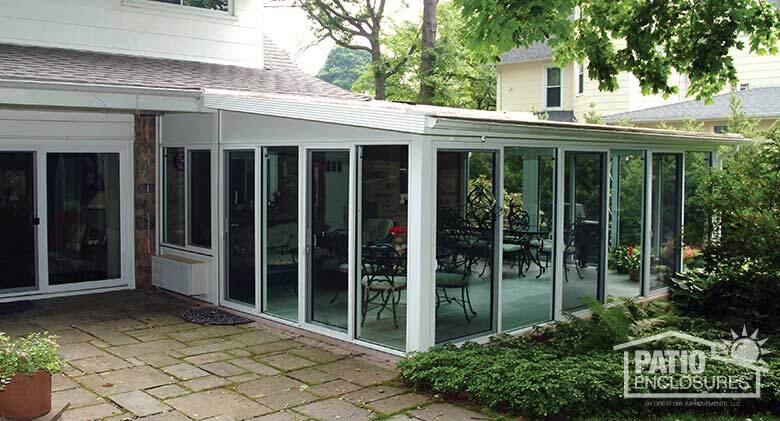 All Season Sunroom White vinyl frame with single-slope roof. 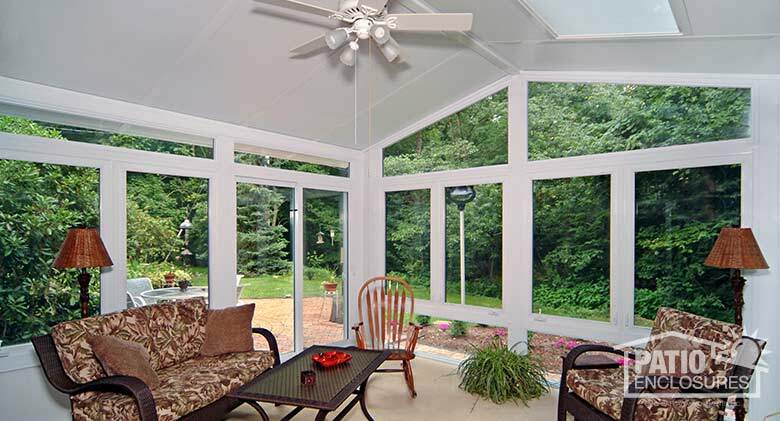 All Season Sunroom White aluminum frame with single-slope roof. 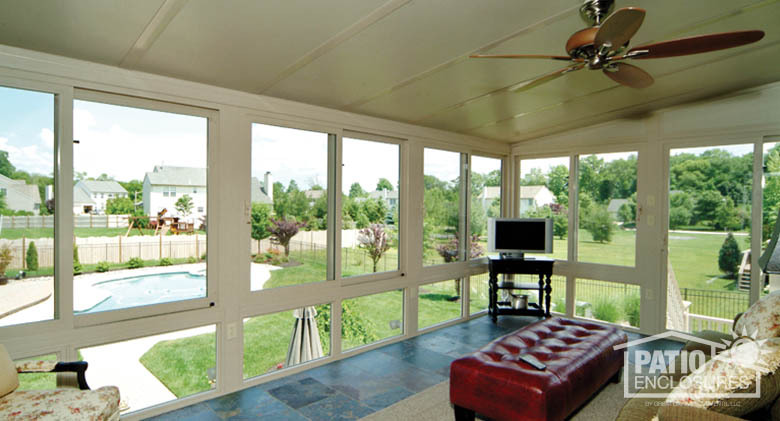 All Season Sunroom White aluminum frame with glass roof panels. 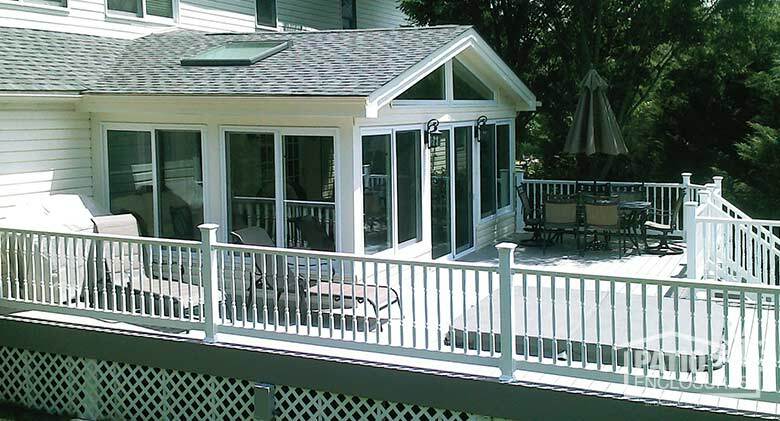 All Season Sunroom White vinyl frame with gable roof and glass roof panels. 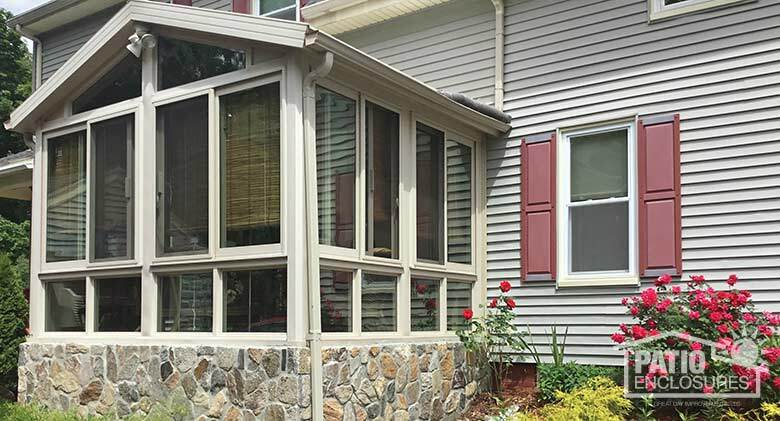 All Season Sunroom Sandstone vinyl frame with gable roof. 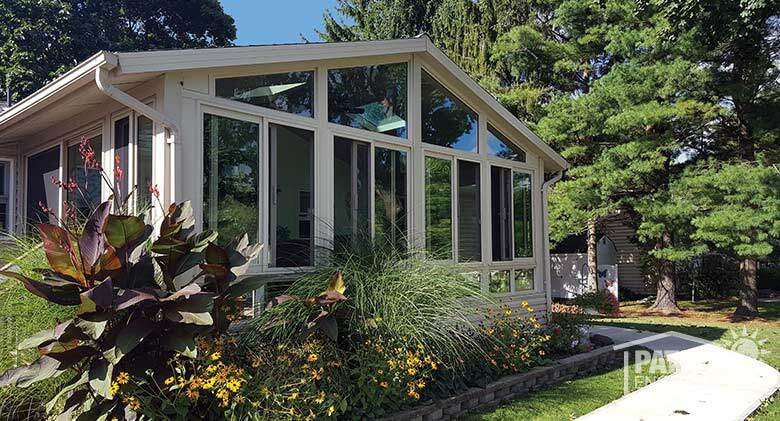 All Season Sunroom Sandstone vinyl frame with custom wood gable roof. 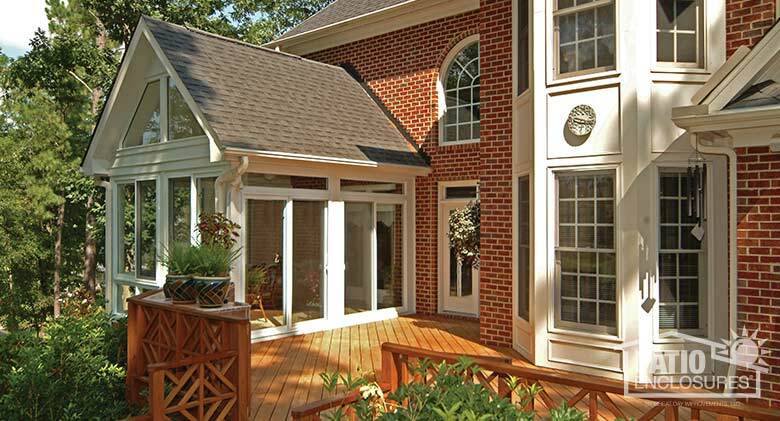 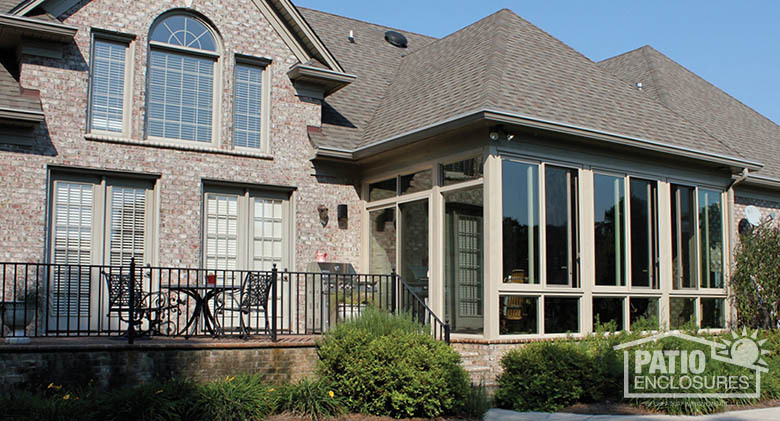 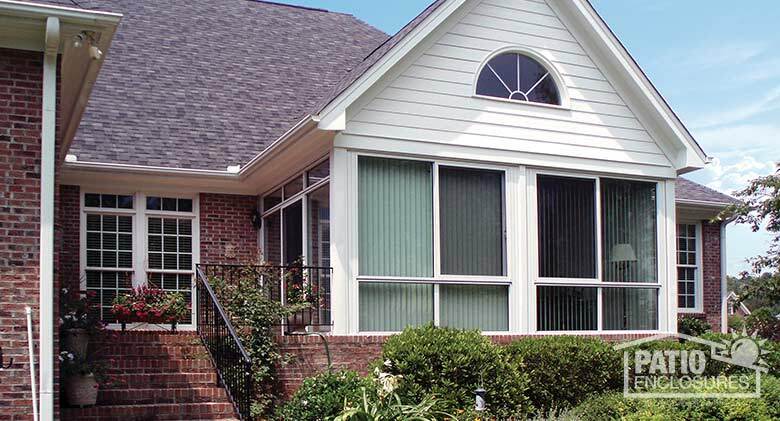 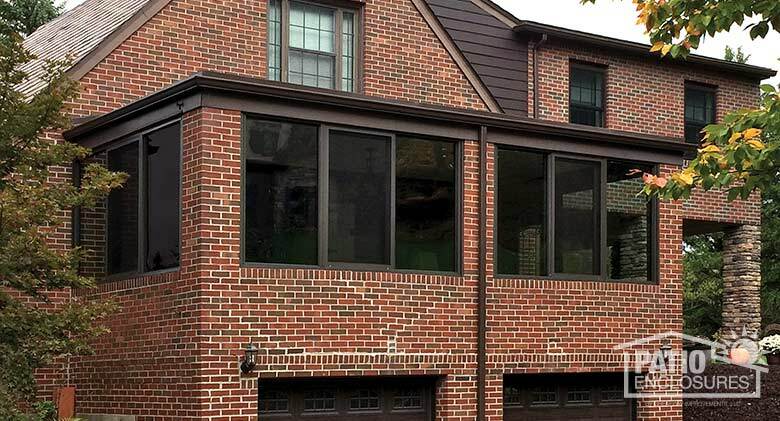 All Season Sunroom Sandstone vinyl frame with single-slope roof. 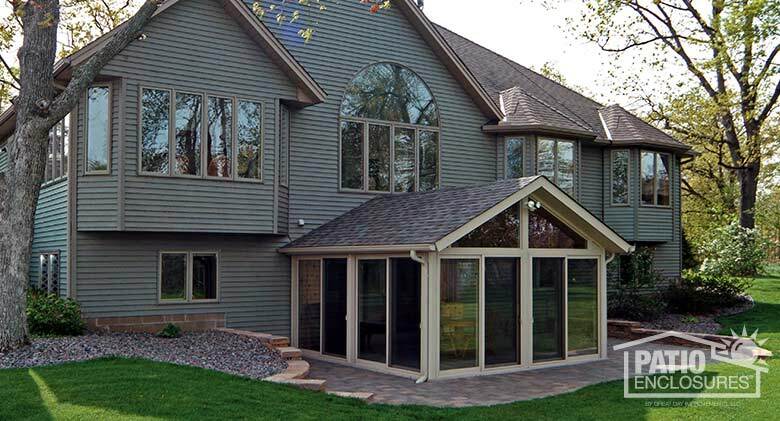 All Season Sunroom Sandstone vinyl frame with custom roof. 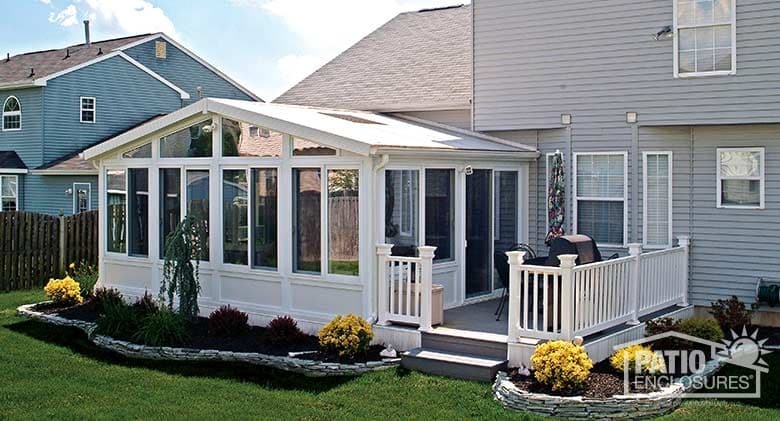 All Season Sunroom White vinyl frame with gable roof and side deck.